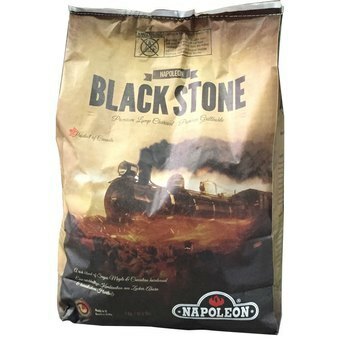 Napoleon’s own Blackstone Charcoal is a premium Canadian lump charcoal blend. Made from a blend of sugar maple, birch, and beech hardwoods, this hot, clean burning, and 100% natural charcoal blend imparts a bold and savory flavor to your favorite grilled foods. Easy to light, Blackstone Charcoal takes only 15 minutes to reach temperature, and when you’re done, this charcoal has a low ash finish that makes cleanup a breeze. Take your charcoal grilling to the next level with Napoleon’s Blackstone premium Canadian lump charcoal.